I was once just like you. I had a “successful” corporate career, the money was good, but I just found no fulfilment. Inside I was slowly dying. I knew I had to get rid of the life-sapping nine-to-five experience, with all the office politics and long hours. I knew there was much more inside of me, but I didn’t know how to get it out into the world. And I was afraid to take action. It was only after much soul-searching, lots of reading, and lots of time spent with myself that I learned that it didn’t have to be this way. The truth is that the world needs more female entrepreneurs – more women who unleash their potential and live life on their own terms. You have so much talent stuck inside of you, it's really a pity to let it go to waste. Stuck inside a corporate cubicle, working a job that maybe pays well but keeps you in a cage – that's missing out on life. Life can be much more than that. In this short article, I'll go over what's holding you back and how you can set yourself free. I’ve done it, and so can you! The first step towards starting your own business lies in figuring what’s holding you back. You have to ask yourself, why aren’t you doing it yet? What are you waiting for? More money, more experience, a better financial position, a better idea, certainty? Once we understand what these factors are, and how they influence us, we can stop letting them control us. In understanding them, we will also understand how to set ourselves free. This is how I first did it, and how you can do it too! We’ll now go through each factor individually. Do you know that nagging voice in your head that always tells you that you’re not good enough? That you can’t do it? That you’re not ready? That you don’t have enough experience? Every time you decide to take action, that voice comes back to you. 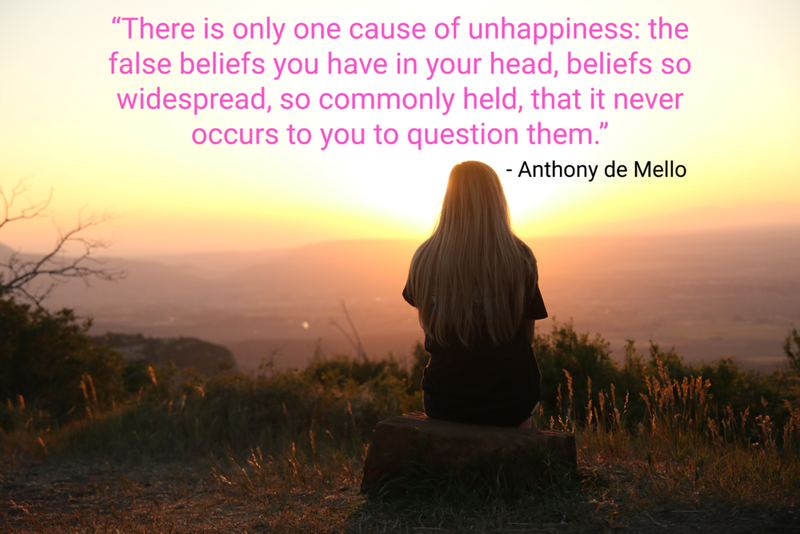 And those limiting beliefs keep assaulting your mind, until you lose all faith in yourself. These beliefs undermine your confidence and keep sabotaging you at every step of the way. Even if you appear outwardly confident, in the background these beliefs still function to hold you chained. In fact, low self-confidence is killing female entrepreneurship. So how can you start breaking the chains? The first step to take is to start questioning your limiting beliefs. Is it really true that you don’t have enough experience? Haven’t there been thousands of people who went into business with little to no experience whatsoever, some straight out of college? If they did it. So can you. In any case, it’s likely that you have a lot more experience than you are giving yourself credit for. A brief glimpse back over your previous job roles and responsibilities, your education etc, will reaffirm just how much experience you actually do have. The more you question your limiting beliefs, the weaker they will become, until one day, you will break free and take the leap, just like I did! Your fears are those dreaded scenarios that enter your mind every time you’re about to take action on your dream. For example, all those doubts that don't leave you alone at night. All those thoughts which make your vision seem impossible. To succeed, you have to free yourself from your fears. Research shows that removing these self-doubts removes a HUGE barrier to business success. And let me tell you… you will only get your dream business when you become your DREAM YOU! Professional growth is not possible without personal growth. So the first thing is to work on YOURSELF. The secret to overcoming fear is learning to accept and live with the risks. After all, risk and being vulnerable are parts of life. If we close ourselves in, trying to be invulnerable, we stop living. We are as good as dead. It is only by embracing life, with all its uncertainties, that we can achieve our real potential, personally and professionally. Depending on your background, different cultural conditioning may also affect you. Research shows that this is one of the most significant factors that stops women from starting a business. Many of us are led to believe that entrepreneurship is a male-centric activity, and women just cannot succeed. But nothing can be further from the truth. And what I discovered through my own journey, is that not only can you succeed. But you can succeed by being who you are. Cultural conditioning is unique to every woman, so it’s important to find a mentor who has walked the same path you want to walk. They can show you how your conditioning undermines you, and what you can do about it. The next significant factor that holds you back is lack of business knowledge. Without the right understanding of what you have to do to start, run and manage your business, you cannot succeed. And unless you come from an entrepreneurial family, or you have already been an entrepreneur, it's difficult to gain this knowledge by yourself. And so either you dedicate an inordinate amount of time to reading, studying and making mistakes, or you cut the time it takes to learn what you need by having a mentor. Consequently, 48% of female entrepreneurs report that one of their most significant roadblocks is lacking a mentor. It is essential to seek out someone who has already walked the path, who has been in your shoes, and who can show you the way. Learning the nuts and bolts of running a business can be intimidating at first, especially in what is still a male-dominated industry. This guidance can be indispensable to your success. Now that you have an overview of the factors holding you back, it’s time to understand how they apply to you as a person. Then you can start taking action to start your business and quit your 9-5! To help you along this journey, I have created a FREE ONLINE MASTERCLASS which will show you, How To Go From Fearful Employee To Fearless Entrepreneur, Even With Limiting Beliefs, Fears, Cultural Conditioning And No Entrepreneurial Background. During this Masterclass, I share with you my own personal journey of overcoming my fears and limiting beliefs to make my dream business a reality. Plus I also share many of the things that are holding you back without you realising it. ✔ Understand your OWN mind blocks, fears, insecurities, and conditioning. ✔ Show you how to create the necessary shift in mindset. ✔ Help you plan your service based business. ✔ Boost your confidence in yourself and in your business. ✔ Learn what actions you need to focus on to be successful. ✔ Find out the BIGGEST mistakes you must avoid at all costs. This Masterclass is value packed, full of content and best of all it’s totally FREE. This is available for a LIMITED TIME ONLY so don’t delay. Register AND watch today as it’s instant access once you’ve registered.